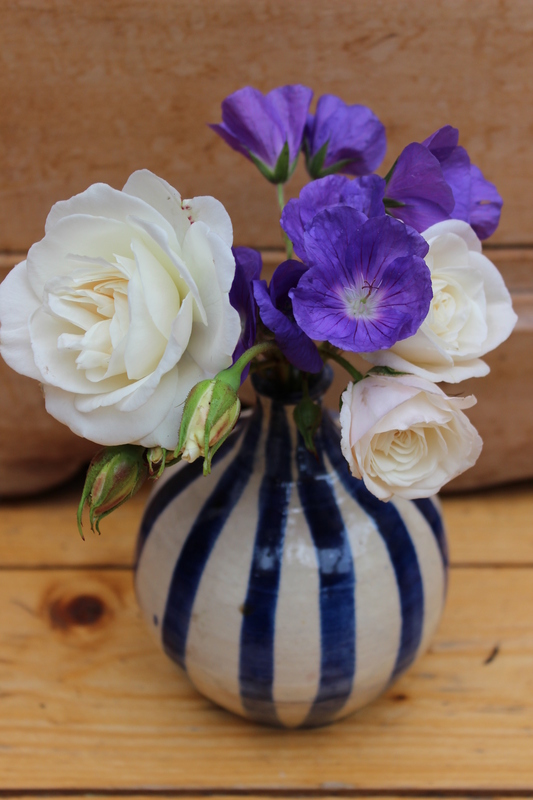 Today’s posy is as easy as it gets, using just two flowers, Roses and Geraniums. I did pick lots of other flowers and foliage to include in this arrangement, but after playing around for a while, I decided that I actually like the simplicity of just two flowers best of all. This entry was posted in Uncategorized and tagged A posy from my garden, my gard, Permaculture, Permaculture Diploma by emilycrofton. Bookmark the permalink.